Intonation can be defined as the rise and fall of the pitch of the voice over a group of words, usually called a ‘tone unit’. A tone unit is a group of words (but can be a single word) under one single intonation contour. Tone units are combined to form paratones or ‘phonological paragraphs’. The phonological paragraph is similar to the paragraph that we observe in written language. 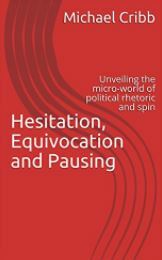 It is assumed that when a (expert) speaker delivers a monologue in the form of an oral presentation, they break their talk up into paragraphs and these paragraphs are demarcated chiefly by pausing, discourse markers and intonation. Paragraphs are normally closed with falling intonation, a slowing of speech and sometimes laryngealisation (or creaky voice). The start of the subsequent paragraph is marked usually with a pause and a high pitch. See example here PDF Document. What terms and phrases do teachers use when discussing intonation? To steeple or not to steeple?